Following the recession, automakers did just about anything to help boost profits and keep their respective companies afloat, including the establishment of a wildly unpopular two-tier wage system. The two-tier wage system, which has spent the last few years under heavy attack, was adopted in 2007 and aimed to pay new hires less in wages and benefits than the veteran employees that they work alongside. 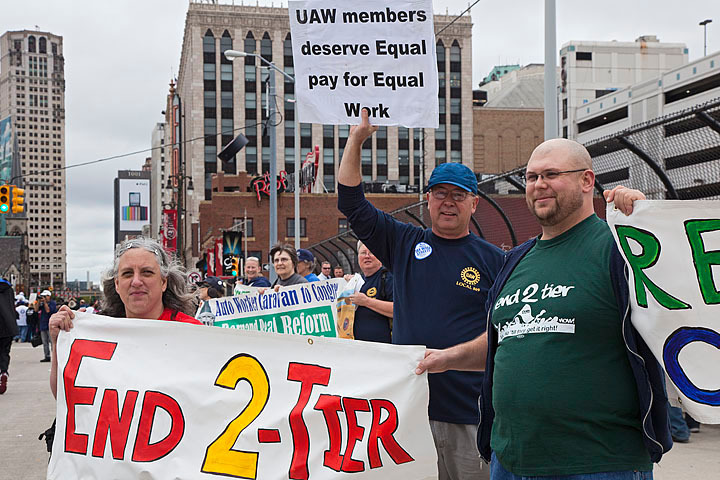 “Since we’ve implemented the two-tier, it has absolutely caused a divide among our membership on both sides of the aisle,” said Brian Hartman, president of UAW Local 2209 in Roanoke, Indiana. Currently, about 20% of the workforce in many of the Detroit-based factories is considered to be in the lesser, Tier 2 section of the workforce. However, if the workers and the UAW have their way, it won’t be this way when the present contract negotiations come to an end. That’s because the UAW believes that the workers have paid their dues, helping the companies survive during the recession by agreeing to take lesser pay and benefits. 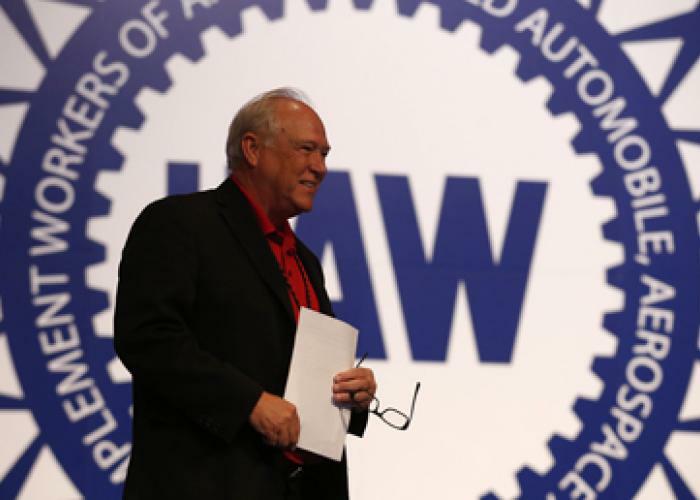 Now that the automakers are back in full swing, though, cashing in at record breaking levels, the workers believe it is time for their status and their wages to be elevated again. These contract negotiations, of course, follow a recent high-profile victory for workers in Indiana earlier this year. Following a one day strike, workers at the Indiana-based Lear Corporation secured a new contract that ended the two-tier system that had also been put in place at their factory. For Detroit’s workers, though, the future is still uncertain and thousands of workers are hoping to be justly compensated for their hard. This entry was posted in Culture and tagged system, two-tier, UAW, wage. Bookmark the permalink.